We are getting our feast all ready! Our you??? We love this Turkey Decoration for Thanksgiving over at MadameDeals! AND it is easy enough for the kids to make (just make sure they do not eat all the supplies before they are made)! 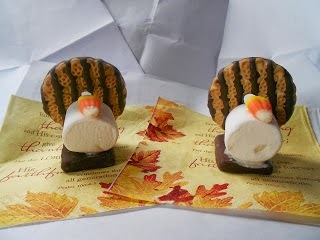 I ended up buying 2 box of cookies-- one to snack on while we created and one to make them!